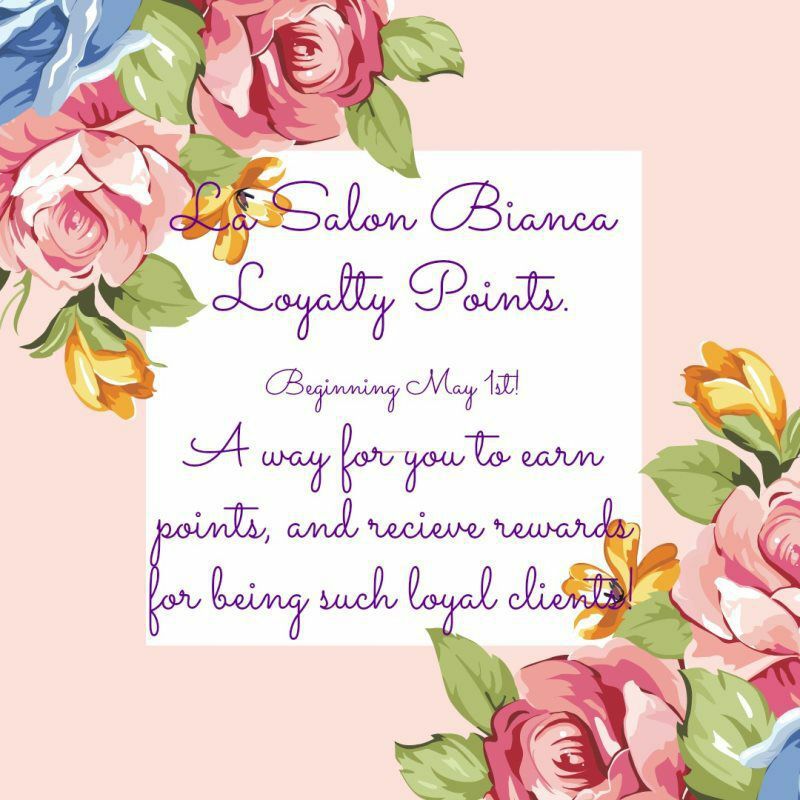 La Salon Bianca has recently started a point system! You get points for everything! Pre-booking your next appointment, booking online, referring people, and so much more! Once you reach 1,000 points you get a $10.00 reward! Free money! Woohoo! All the details are on our website, lasalonbianca.com check it out today!